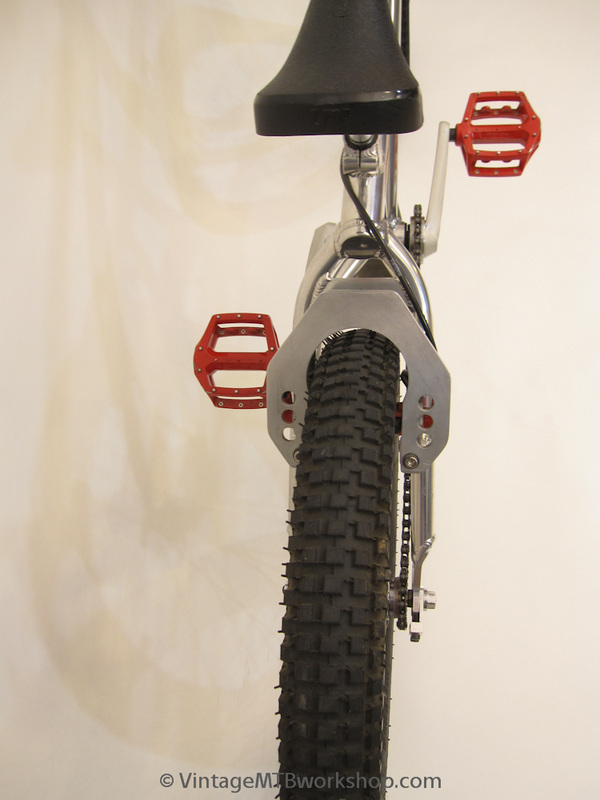 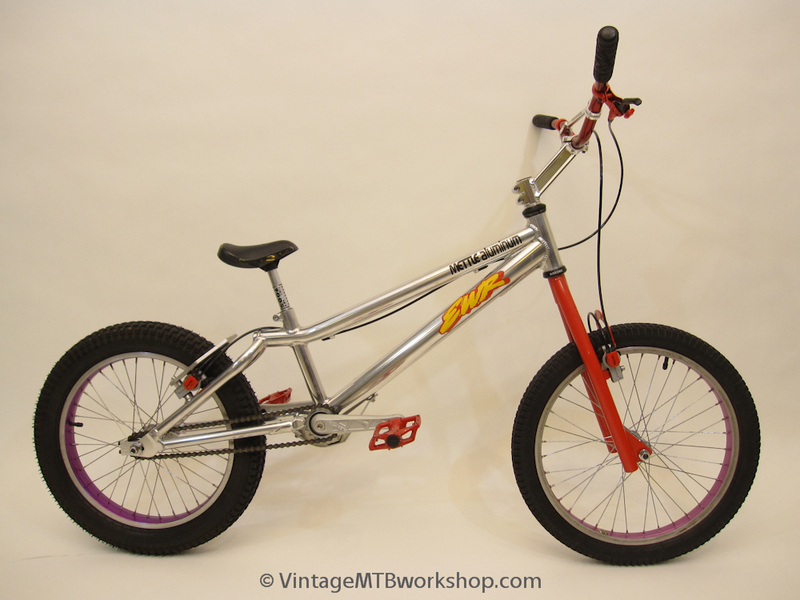 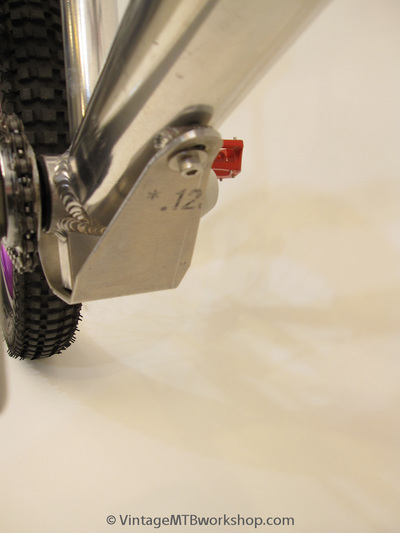 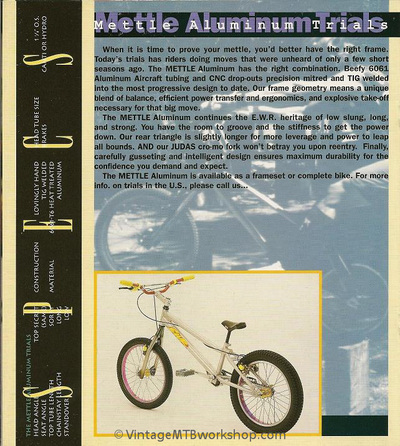 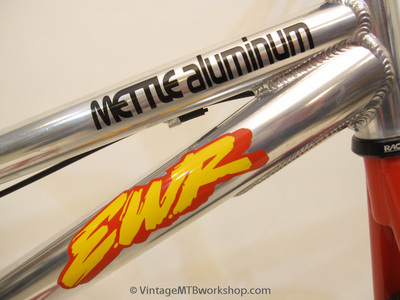 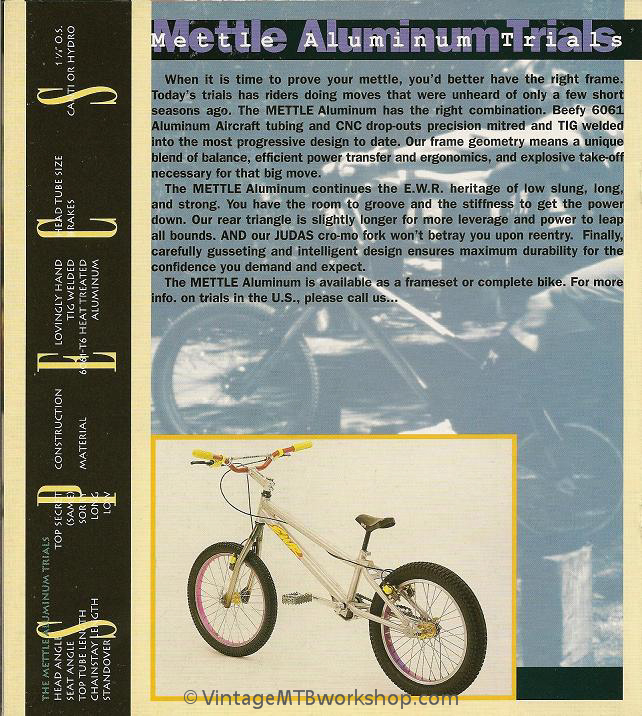 From the forward thinking of Jay de Jesus of Eastern Woods Research came the Mettle Aluminum modified trials bike. 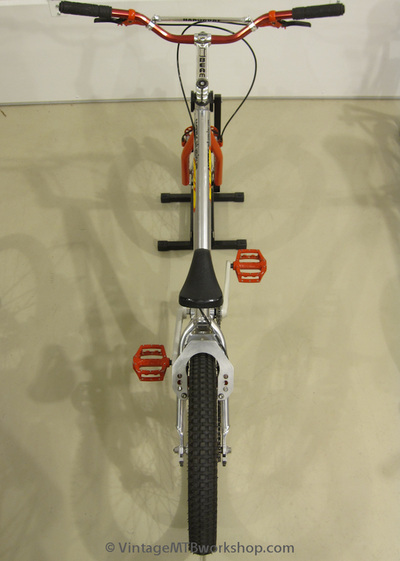 The design was ahead of the times with its ultra long wheel-base, tall front end, and low-slung middle. 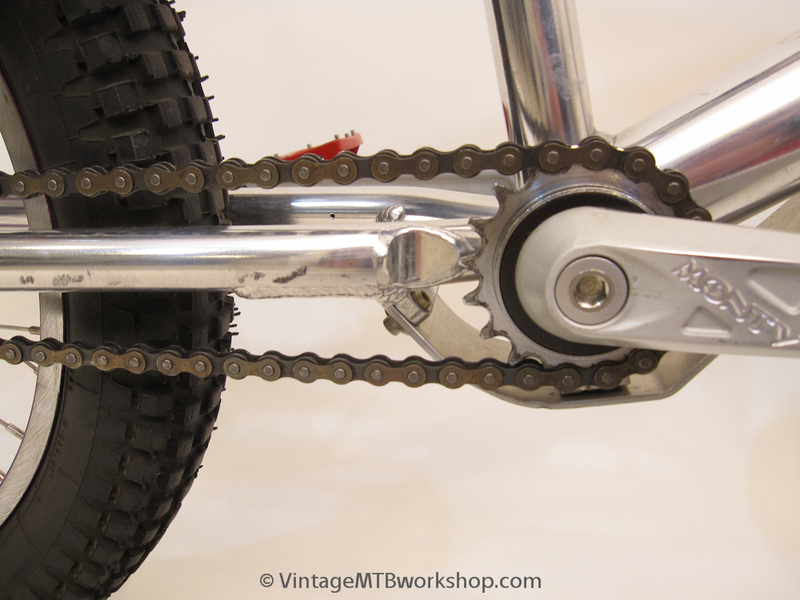 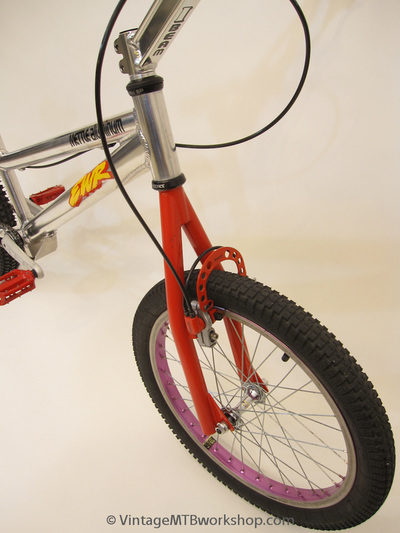 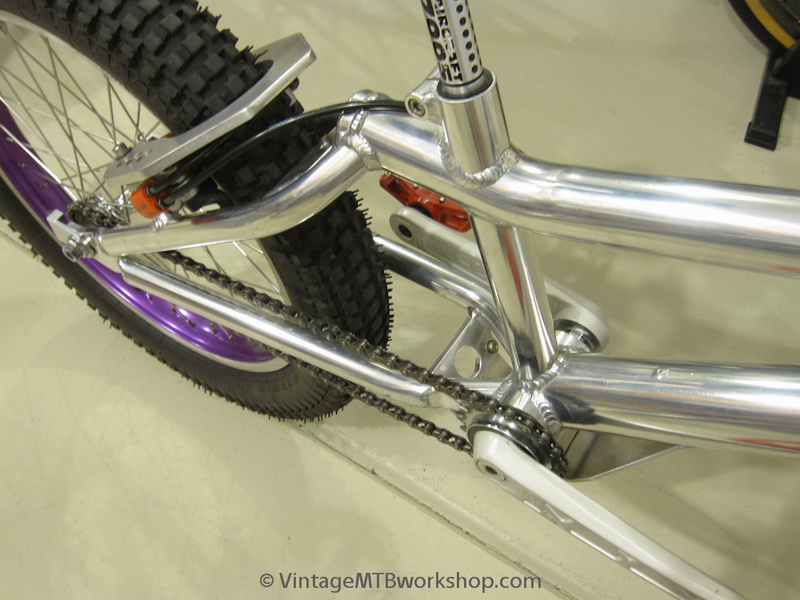 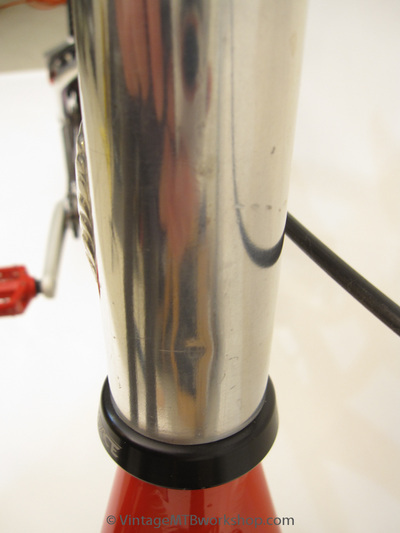 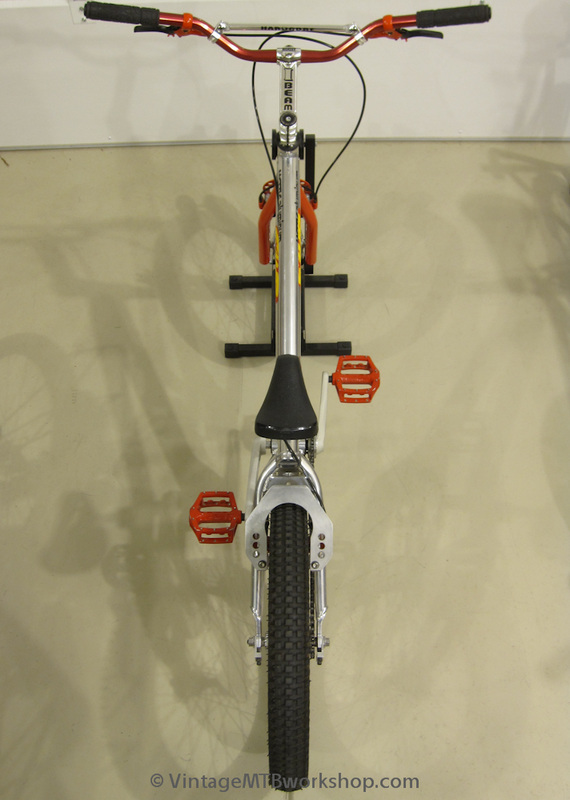 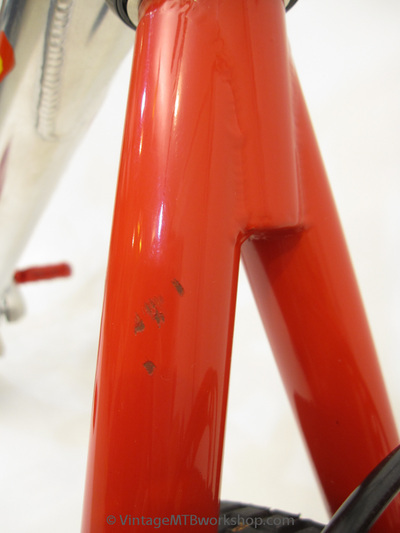 The frame was expertly welded by Ventana and the fork was built by Bill Grove.